For the relatively modest price, you get some hardy specs: a 120-degree viewing angle, 1080p video, night vision courtesy of eight infrared LEDs, motion detection, and two-way audio. You also get 24 hours of cloud storage for your recorded clips free with your purchase. 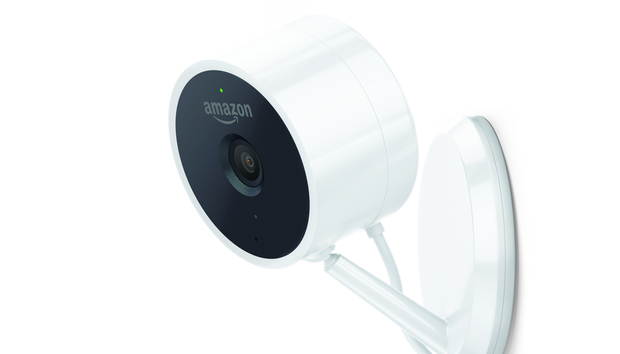 The Amazon Cloud Cam is operated with the iOS, Android, or Fire OS app of the same name. It walks you through the process of pairing your mobile device with the camera via Bluetooth and connecting to your Wi-Fi network. Other than waiting for the camera to enter pairing mode, which can take up to five minutes from the time you first power it up, the setup is quick and smooth. The camera’s streaming feed is displayed at the top, and as event-detected video clips are recorded, they are logged in reverse chronological order below the stream. Tapping a clip opens it on its own screen where you can review it and download it to your device or share it. 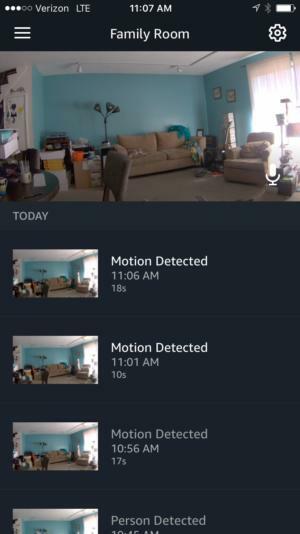 Most home security cameras include an option in their companion app for you to manually record video or take a screenshot of activity you see in your feed. There’s nothing like that here, so the Cloud Cam only records video when motion triggers it to do so. That’s probably just fine for most users, who are only going to look at their feed when they’re notified that something’s happening at home. It’s worth considering though if you want more hands-on control over your camera. 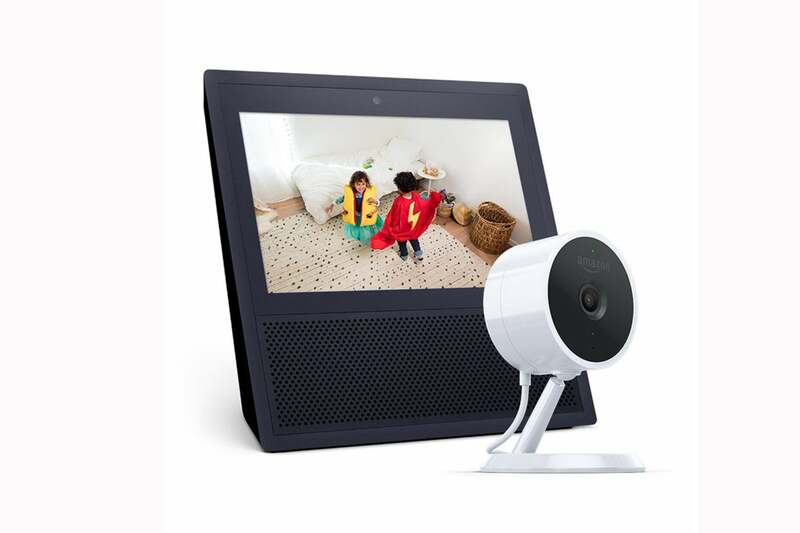 In addition to viewing the Cloud Cam feed on your mobile device, you can also check in using Alex voice commands on the Echo Show, Echo Spot, Fire TV devices, and Fire tablets. This is pretty ideal when you want to monitor a room from inside your home, such as a nursery or a small child’s bedroom. As everything is linked through your Amazon account, there’s no extra setup required. 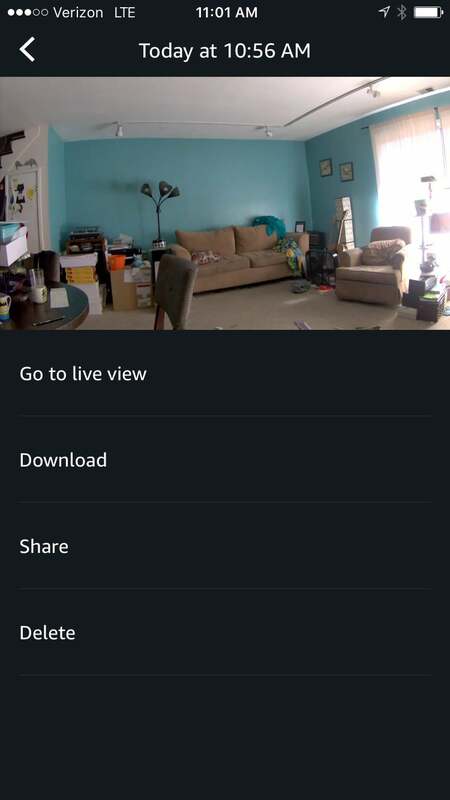 I was able to view my family room simply using both an Echo Show and FireTV Stick simply by saying “Alexa show me the Family Room.” Third-party camera manufacturers, including Nest, Netgear, and Ring have integrated their products with Alexa, but the execution here is so seamless here it can’t compare.